A number of interesting mysteries surrounding the “terrible lizards” remain the source of ongoing controversy. These include the discussion of whether mighty carnivores like the T. Rex were ferocious hunters or merely lumbering scavengers. Some debate whether the large herbivorous dinosaurs could have raised their heads as high as they are commonly depicted. How could the heart of a Brachiosaurus have pumped the blood up to a head held 60 feet off the ground? And increasingly paleontologists are reconstructing these giant sauropods as much more slender and agile than had been traditionally thought. 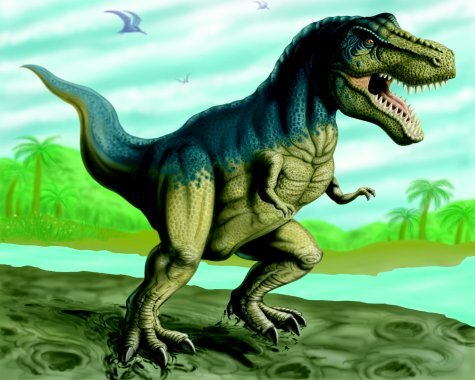 A major source of controversy surrounds the belief that reptilian dinosaurs were “cold-blooded.” Some would point to evidence from the bone structure suggesting certain dinosaurs were warm-blooded and grew quickly, with certain theropods being active pack hunters. Others counter that even though dinosaurs were cold-blooded, their generally large body mass would have maintained a steady temperature permitting them to be agile and active. They believe the sauropods could only have achieved such immense size by being cold-blooded. Arguments also are ongoing as to whether some pterosaurs were bipedal (walking upright) or whether they all landed and immediately dropped onto all fours (walking quadrupedally). Some puzzles, like how the large pterosaurs actually flew, might be solved by understanding how the atmospheric conditions were different on the early earth.